This is the last one of these, I promise. I’m all out of the fabric, even the scraps (I have a few flannel giraffe squares, but that’s different.) 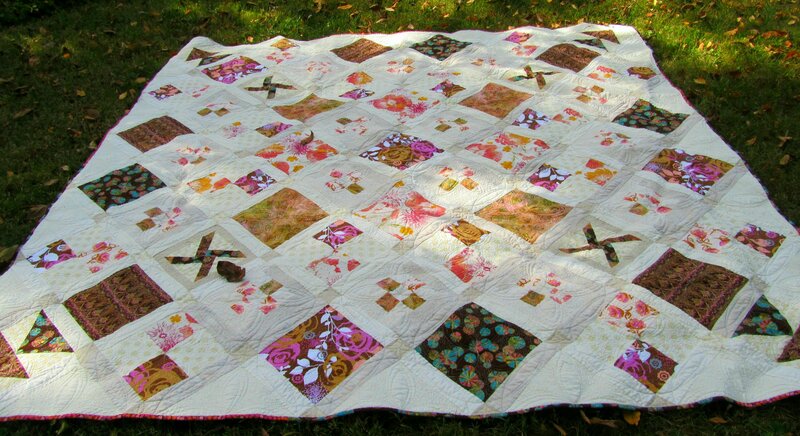 And this quilt may be my favorite. 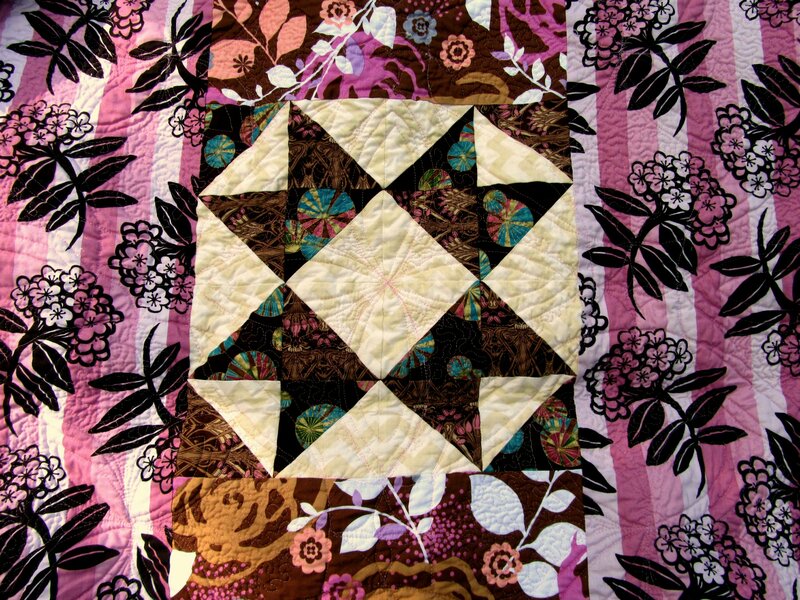 This was not on my list to make right now, but when I saw Christa’s post about her scrappy half-square triangles, I knew that was the right technique to use with the scraps I had. I combined them with a soft green print and a gray and white stripe, and I like how much softer the look is. 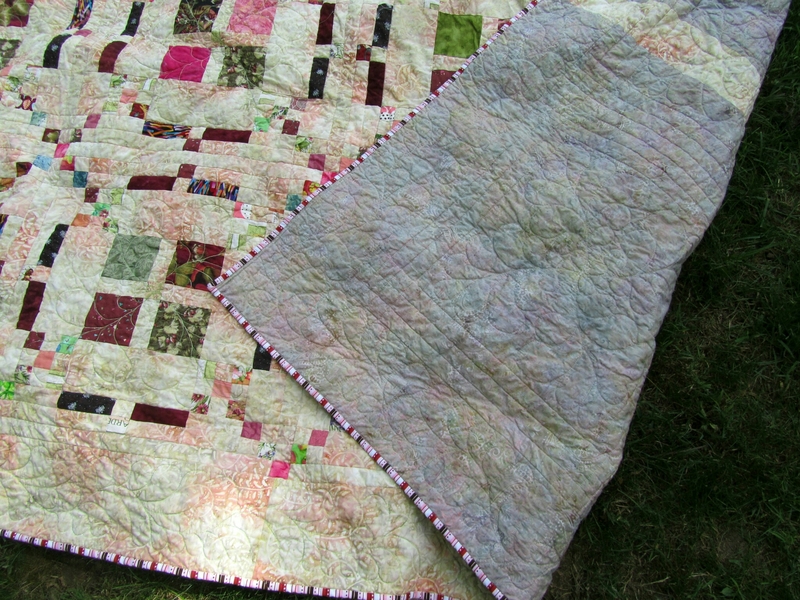 I quilted it all with the walking foot. First I stitched in all the ditches using silver Bottom Line. 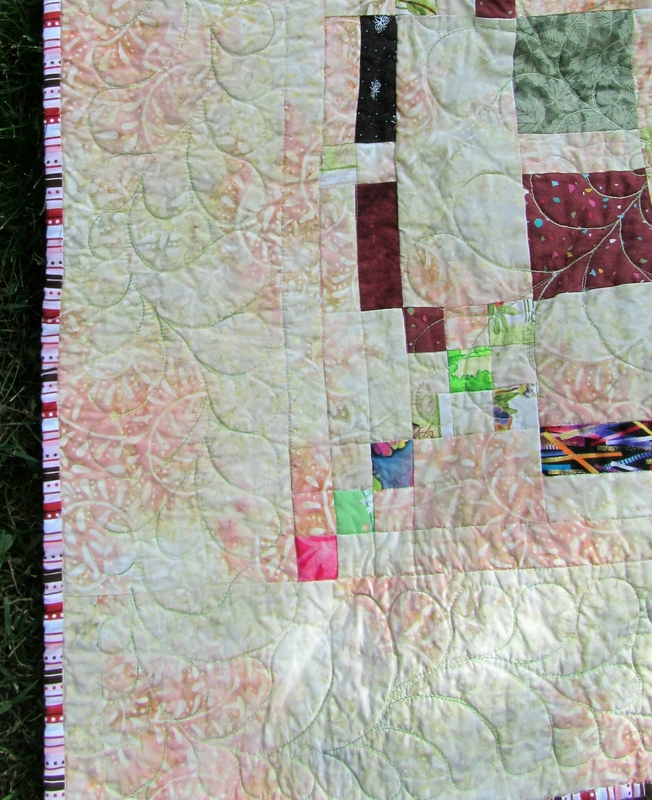 Then I auditioned three green variegated threads for the the decorative quilting. I chose the So Fine (Superior) on the right, just because it was the lightest. I always prefer bold, contrasting colors (hence all the dark threads in my collection), but I wanted to keep this soft and blending. Light thread looks okay over darker fabric, but dark thread on light shows every wobble. 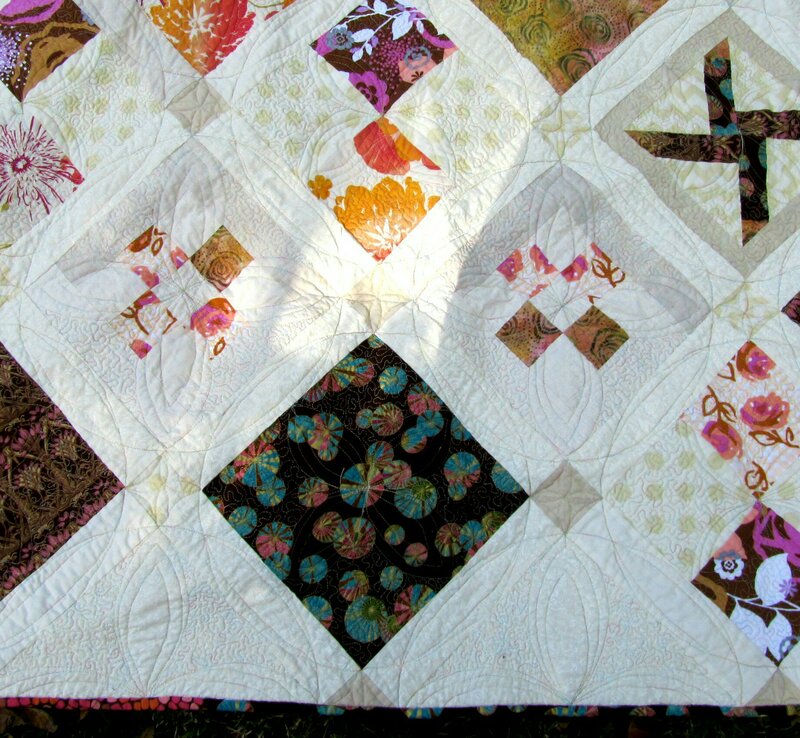 I like minimal, asymmetrical lines of quilting, so I kept thinking I was finished. 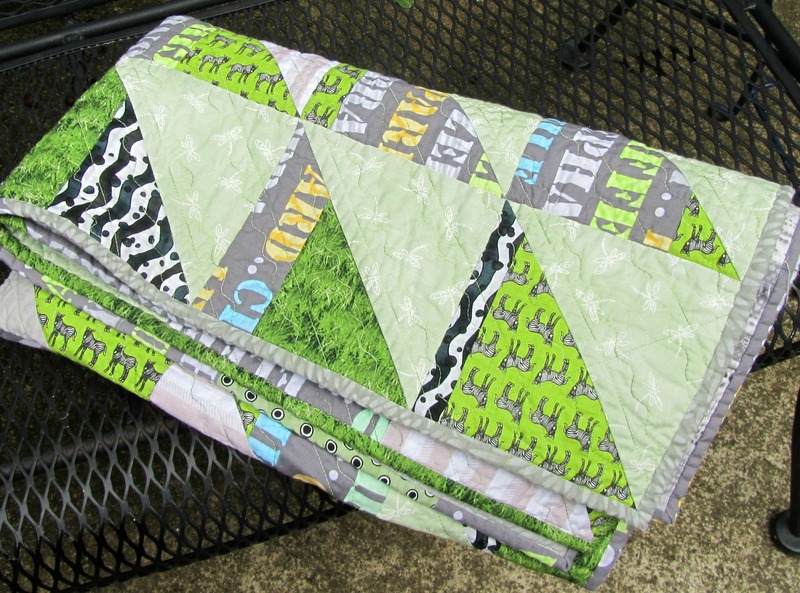 I did want to do enough to hold down all of the fabrics, including the small pieced triangles. When I put the last rows of stitching in, it all came together and I knew I had it. This one’s for sale in my Etsy shop. 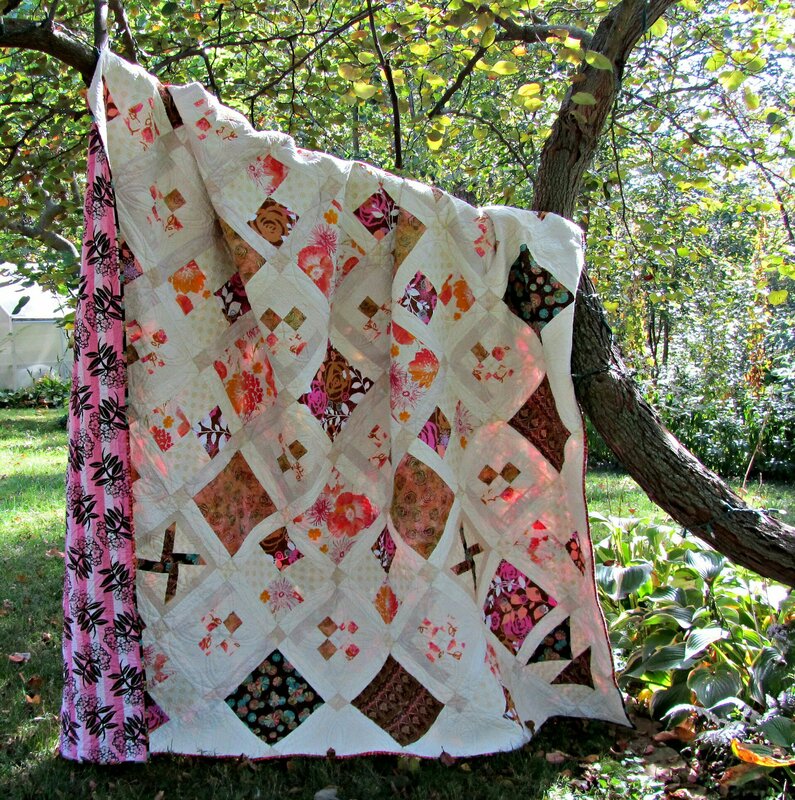 Categories: Finishes | Tags: baby quilt, Evening in the Garden, jungle, safari, superior thread, Valerie Root, zoo | Permalink. Here’s my latest finish. It’s a fun size (48″ x 60″), and was quick and easy to make. It includes two Star Wars fabrics, some batik, some metallic print, another gray print, some blue Grunge, a blue geometric, and some Kona Ash. I found these scraps while straightening some of my fabric drawers and decided to make them up for donation. How do you keep your blocks in order for assembly? Usually I number them using Crayola Washable marker. This time the blocks were too dark, metallic, etc., for the marker to show up on most of them. Instead, I used numbered bits of blue painters tape, which was really more work than I wanted to do. These stuck long enough to get the blocks to my sewing machine, and it went together properly. However, the tape started to come off as I was sewing and stuck to everything else in sight. I wore a few numbers to dinner that night, and I am still finding them. Please tell me a better way! 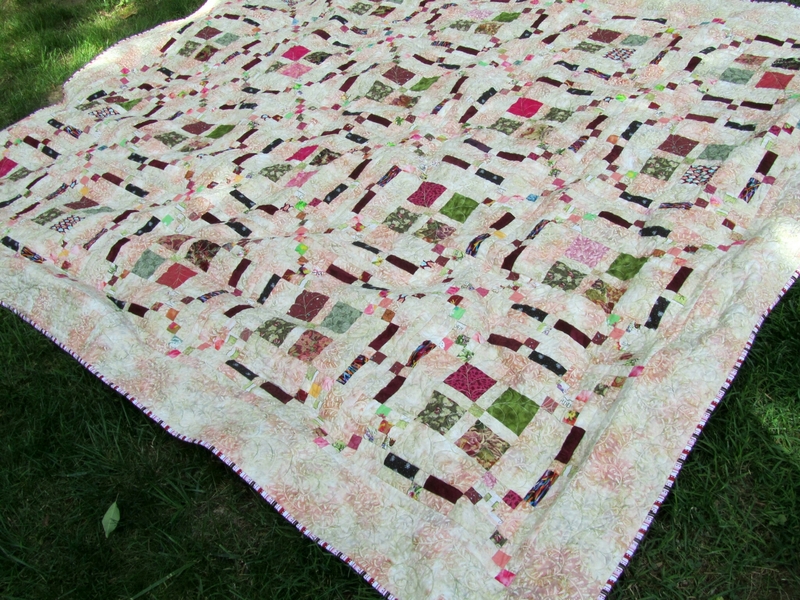 The quilting was a lot of fun. The light-colored diagonals are sewn with Superior NiteLite (glow-in-the-dark) thread, and I experimented with some decorative stitches to put a little more thread on there. I use gray Bottom Line for the swirls and ribbon candy. 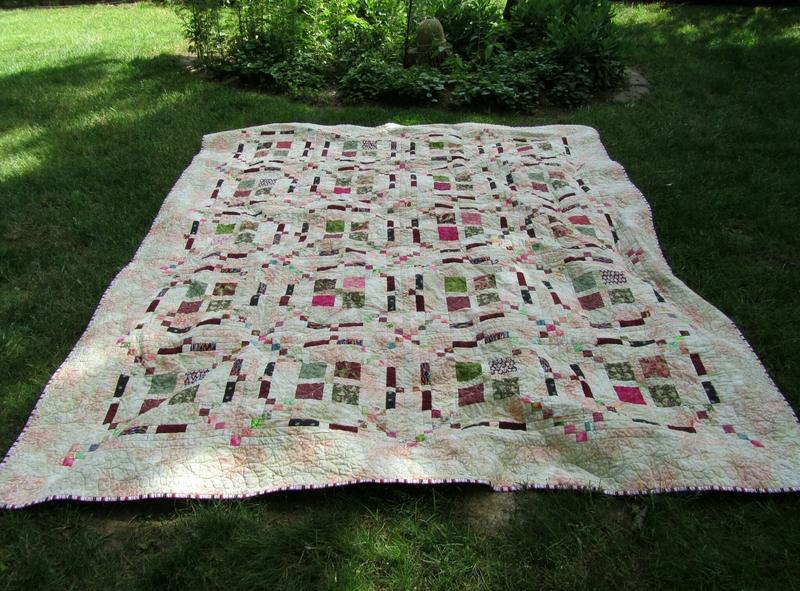 I pieced the back with more of the scraps. I haven’t decided where I’ll be donating it yet, but I have a few ideas. 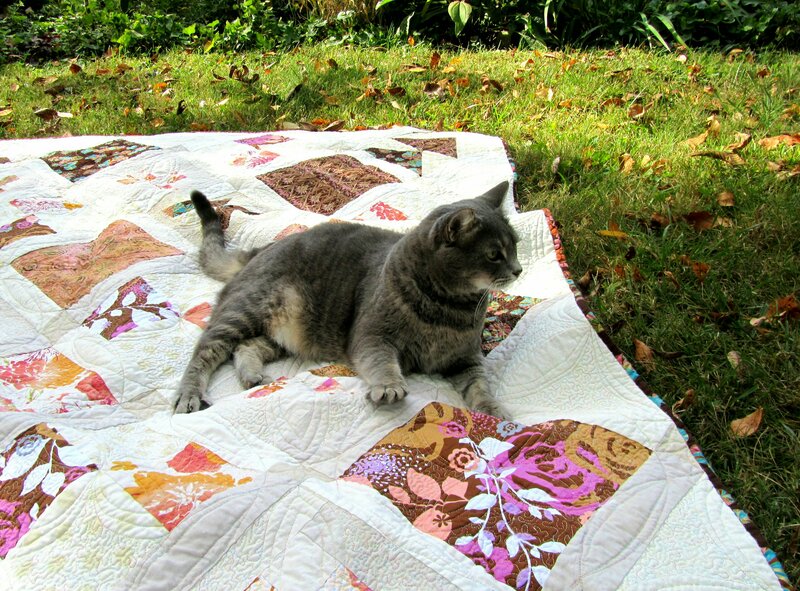 I’m linking up to Sew Some Love at Kat and Cat Quilts. 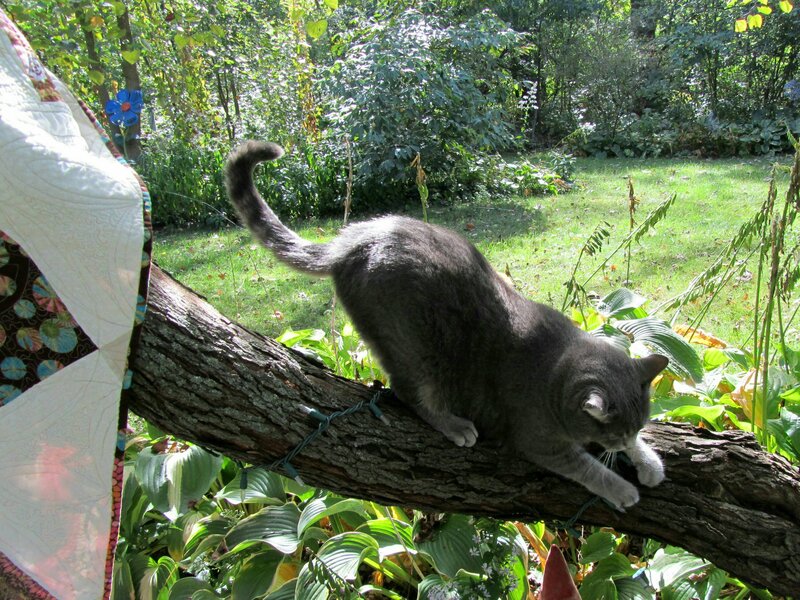 Categories: Finishes | Tags: Evening in the Garden, Star Wars, superior thread, Valerie Root | Permalink. 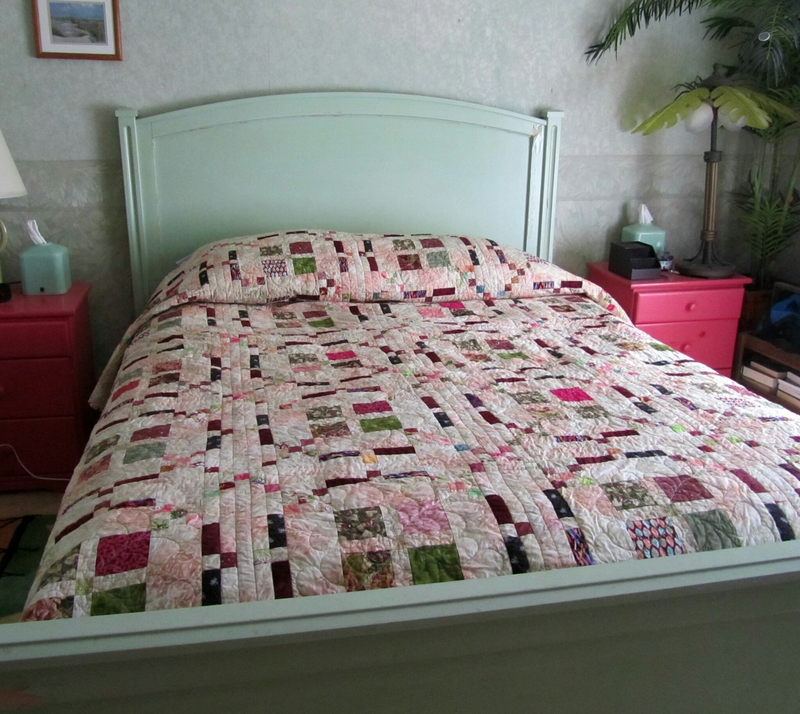 Here is the second of the small donation quilts made from 7.5″ “log cabin” blocks. These have the large 3″ centers again, and I didn’t even bother with “logs”. I just used 2.5″ strips, arranging the colors to imitate log cabin blocks. I set them in the Barn Raising design. It finished at 42″ x 63″ before washing. 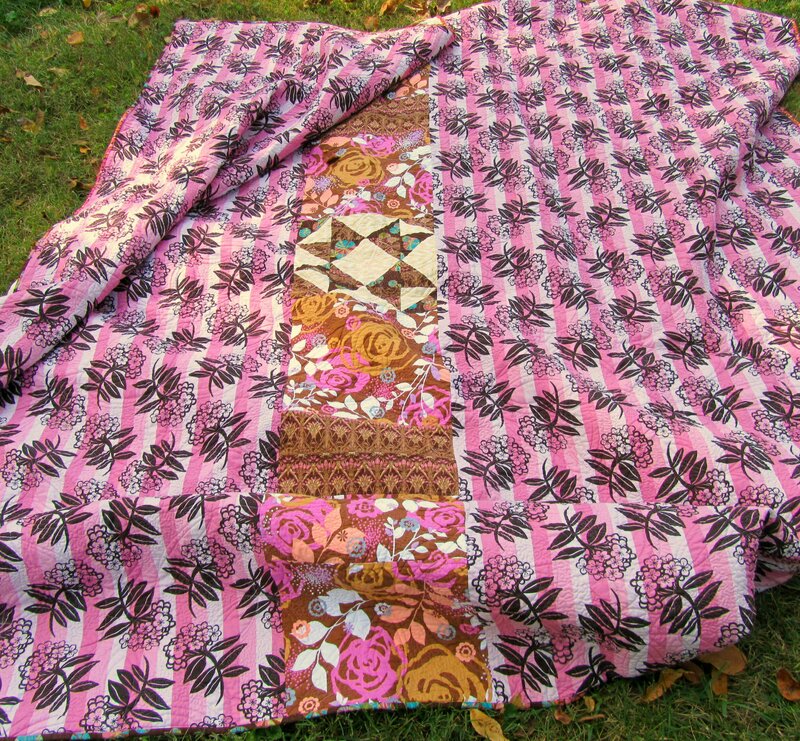 Like the first one, I chose the fabrics for this quilt after first choosing the backing fabric. 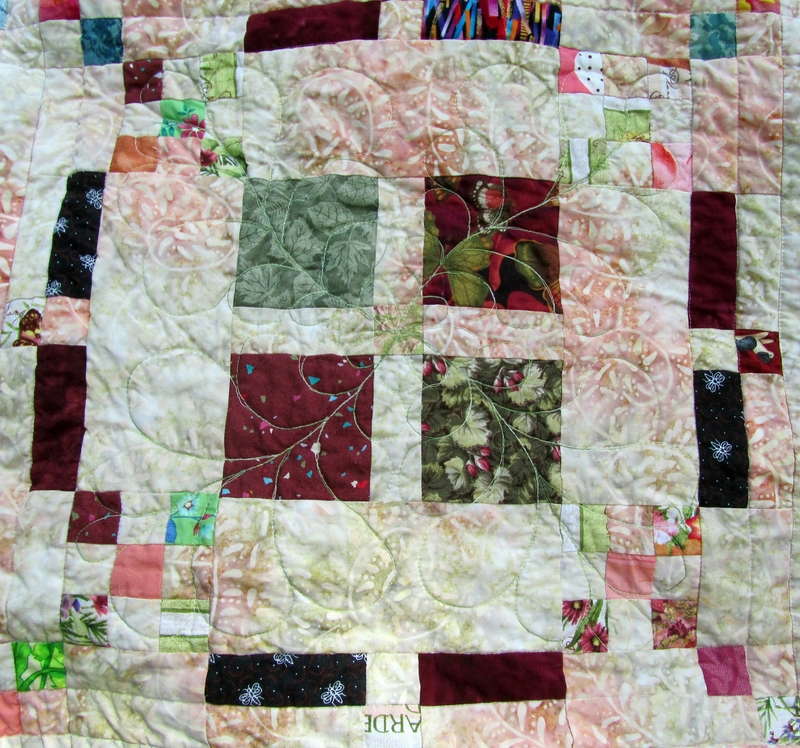 After quilting between all the blocks, I quilted ribbons in the white areas (Sulky), and feathers in the print areas (Superior Living Colors). 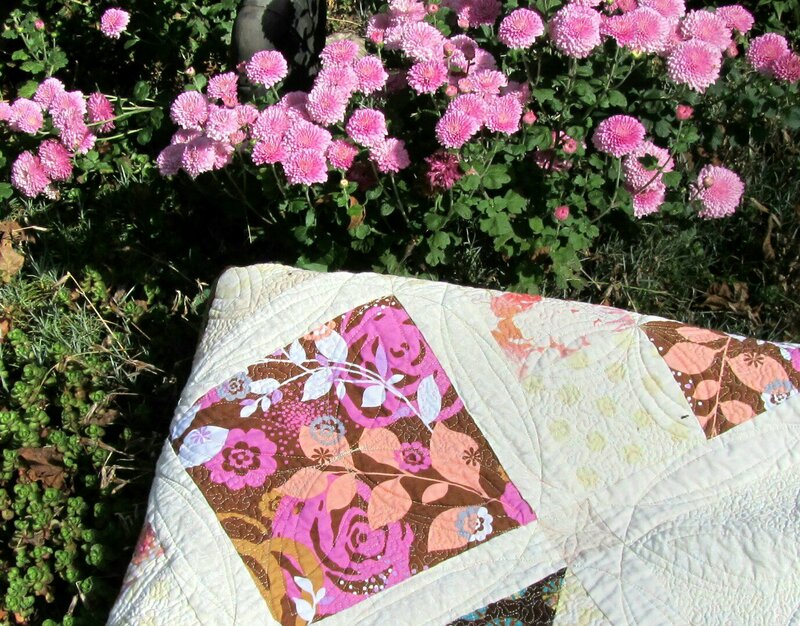 This quilt will also go to A Mother’s Hope, at Margaret’s Hope Chest. 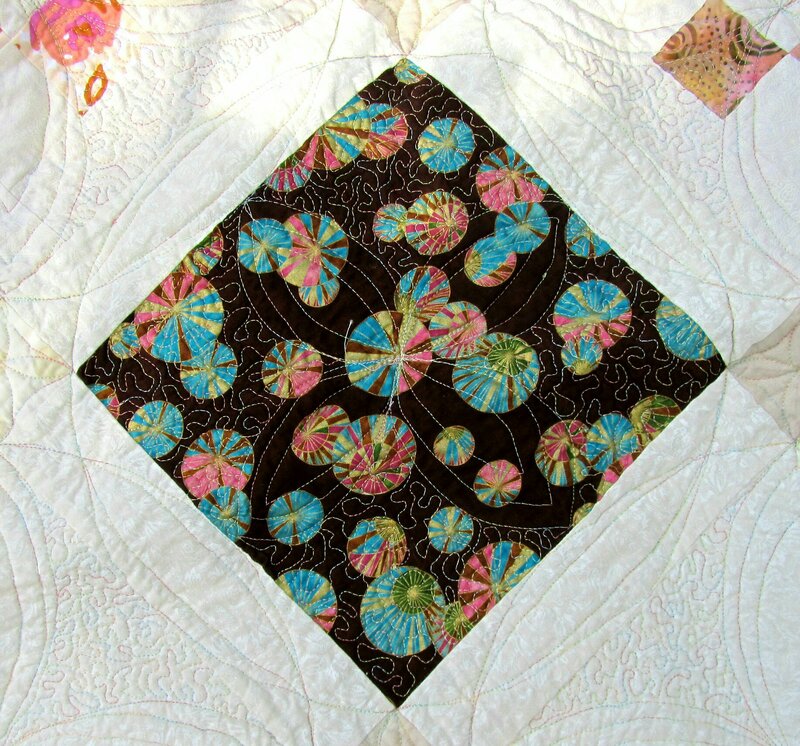 Categories: Finishes | Tags: Evening in the Garden, log cabin, superior thread, Valerie Root | Permalink.